I think you will really love these apple cinnamon muffins. The recipe was originally shared with us by Cheryl from Ontario, Canada, who calls these her apple pie muffins because they have all the yummyness of cinnamon apple pie. Preheat the oven to 325ºF. Grease and flour muffin tins (or line with papers). 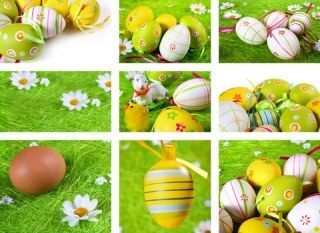 Combine the brown sugar, oil, vanilla and egg. Add the dry ingredients alternately with buttermilk to the mixture, stirring until just combined. Fold in the chopped apple and pecans. Place the batter in the muffin tins and sprinkle with cinnamon sugar. Bake for 25 minutes or until tops spring back. Remove from the pans and cool. Substitute 1 1/2 to 2 cups mixed fruit peel for the chopped apple. Dredge the peel in a little of the flour from the recipe. You can also divide the batter in half and add 1 cup chopped apples to one half and 1 cup mixed fruit peel to other half. There are several things you can do to make this recipe healthier. First of all, you can replace part of all of the white all-purpose flour with whole wheat flour. I always recommend sifting whole wheat flour, because it still contains the bran and baked goods will be heavier and denser if you don’t sift the flour. That said, you can replace white flour with whole wheat flour in equal measure. 1. I would cut the sugar in the actual recipe from 1 1/4 cups to 1 cup, and if that was satisfactory to you and your family, maybe cut it down to 3/4 of a cup the next time you make it. If you cut down on sugar a little at a time, you would be surprised at how your taste buds get used to the slightly less sweet taste. 2. You can also leave off the cinnamon sugar topping, or just sprinkle the tops of the unbaked muffins with cinnamon alone. Surprisingly buttermilk is very low fat and already very healthy for us. If you would like to replace the buttermilk, simply substitute an equal amount of almond milk, soy milk or coconut milk. 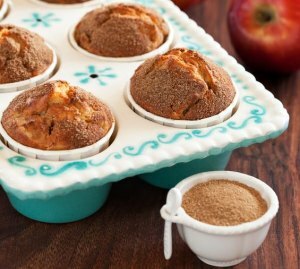 If you love these apple cinnamon muffins, you just have to browse our muffin recipe collection here.